Beauty is the only thing that the strength of the time can not harm. To Doppiozero39, quality is everthing that defines what we do and we want to bring our commitment of quality to the world.  Our company name refers to the international dialing italian code 0039 ("doppiozero" means "double zero") and aims to demonstrate the international spirit of the company, combining it with the desire to communicate the Italian roots and providing its customers with a 100% Made in Italy. From its operational headquarters in Mariano Comense born the network of craftsmen from Brianza and the main districts of interior design and excellence of Made in Italy: from Murano glass to the potters of Novi up to the tanners of Tuscan shops. Doppiozero39 specializes in carpenters, upholsterers, architects, interior designers; our artists who share the company's vision will have the ability to satisfy the needs of every single customer. Our products have shaped innovative ideas, original styles, and new concept of space and the elements within them. The furniture from the classic design instead took over the clientele that sees in the tradition characteristic of unquestionable value. Our attention to details and careful selection of the best materials has enabled our company to establish itself in the high end residential, retail and luxury hospitality market. Doppiozero39 collaborated with international architectural Design Firmsos for the production of furnitures with innovative design in the private sector as well as in the business sector which includes: hotels in exclusive locations, offices in the skyscrapers of China and USA, villas and mansions in Russia, palaces and holiday luxury in Dubai and Tokyo.